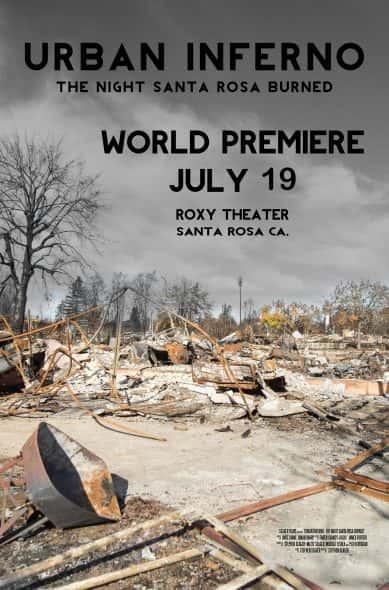 Tickets are NOW on sale for the Thursday, July 19th premiere at 9pm at the Roxy Stadium 14 Theater in downtown Santa Rosa. Starting Friday, July 20th multiple screenings will be available daily across the street at 3rd Street Cinemas. TICKETS for the Friday, July 20th Showings and Beyond. Dr. Seager invited KSRO’s News director Pat Kerrigan to join in as co-executive producers of Urban Inferno. The other Executive producer is Mette Seager, a physician at Kaiser and wife of director Stephan Seager. Production started in December; the film was just finished this week, with 3-time Emmy Award Winning Cinematographer James Fortier and Original Music from the producers of Nine Inch Nails. 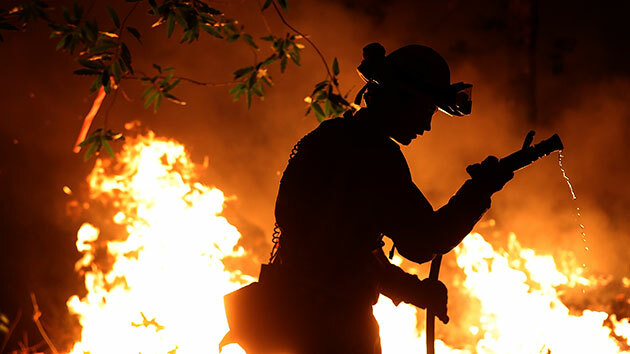 Urban Inferno has been entered into 30 film festivals domestic and abroad this fall and winter, but the World premiere will be at The Roxy Theater in downtown Santa Rosa, with proceeds going to fire-related charities. After the premiere the film will begin a regular open-ended “run” at Third Street Cinemas, again with a portion of the proceeds going to fire-related charities.